We have recently congratulated ATI Technologies on the 20th anniversary. Indeed, despite ups-and-downs, on the whole the curve was running up. The company has reached unprecedented scope, capital, etc. As well as cunning capacity per employee. 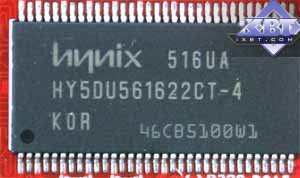 You tell me why launch the same X600 PRO chip at the same frequencies but under a new name? I already assaulted this company in the article mentioned for its renaming passion and attempts to sell the same product twice. 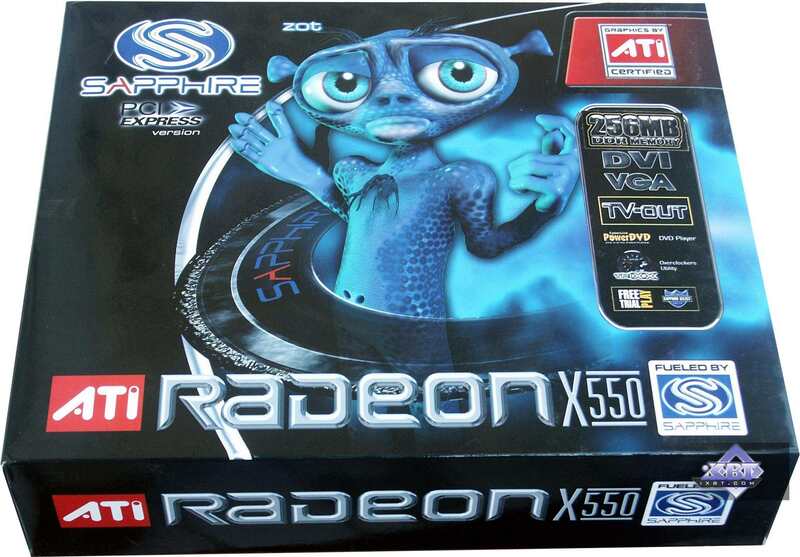 The market has RADEON X600 PRO at 400/300 (600) MHz. There is also X300 - 325/200 (400) MHz. There is a cheaper X300SE. All these cards are crammed into the tiny market segment of $50-$90. 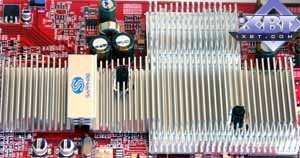 Why KILL X600 PRO and replace it with the X550, which is an identical product, but with 250 (500) MHz memory. Does the X700 (going down) interfere with it? Well, there is plenty of memory operating at 300 (600) MHz! Drop the price for the X600 PRO and pull it down as you like! But no... It's not interesting, it will not be in demand anyway... Its name is too old. 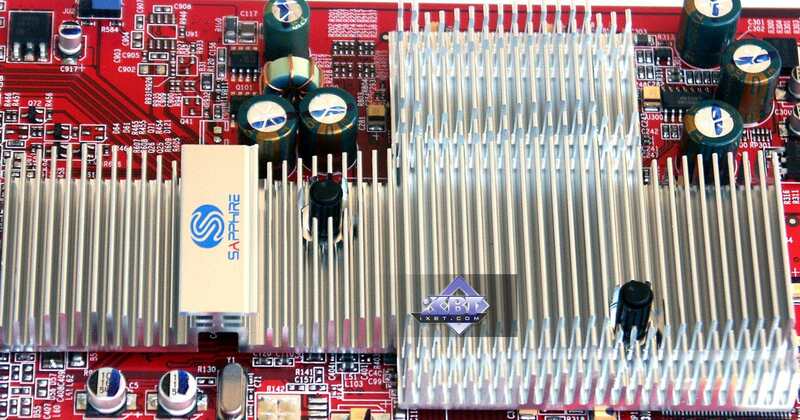 But if promote the same product, (moreover, at 400/250 (500) MHz) under the new X550 name, it may attract inexperienced users, who will mistake it for a super new product. From the marketing point of view the Canadian company just killed cards for $80; it kept the X700 at above $100, and launched the X550, which will cost below $70. 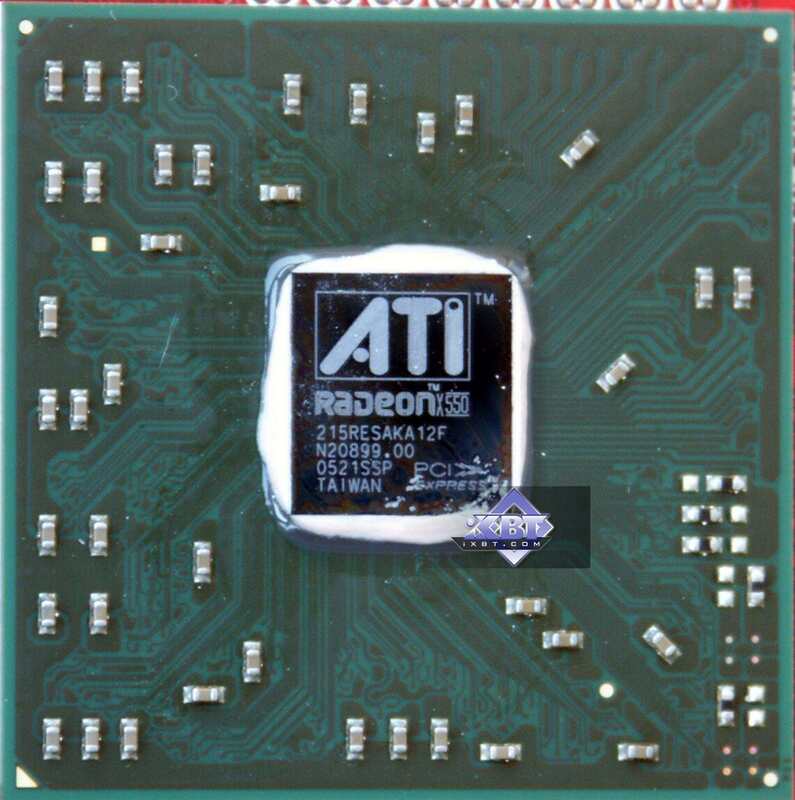 ATI has given a piece of its pie to the competitor with its own hands. By the way, NVIDIA came down to a meaner move: it just renamed the GeForce 6200 into the 6600LE. Yes, it did! Don't even look for information that the 6600LE is like the 6600 with reduced clocking. No! It's the NV43, crippled to 4 pipelines. It used to be called the 6200. And now it's called the 6600LE in order to look like a new product. 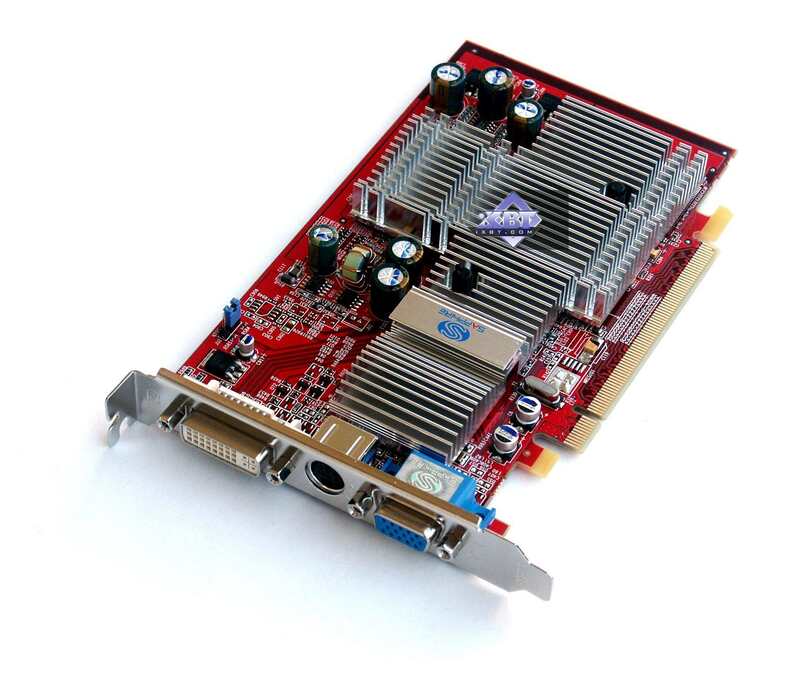 Ah, the SLI support... As if these cards need it very much! Not wise enough to extend this support to the 6200? Perhaps the marketing department interfered again and prohibited driver developers to do it. Why do it - ATI decided to do a slime, but flogged itself in the process... NVIDIA is no better. It will whip itself. It will just bluff us into believing that the old 6200 is a new product. OK, the X550 was at least a tad different from the X600 PRO - its memory frequency is lower... But the 6200 and the 6600LE are equally clocked. 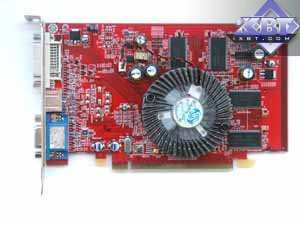 Logically, NVIDIA made a mistake not now, but much earlier, when it gave the 6200 and 6200TC names. 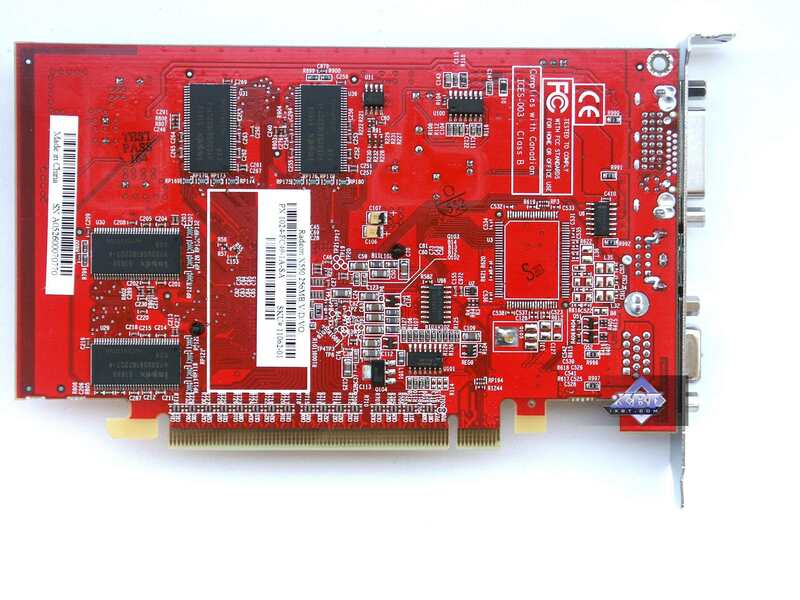 NVIDIA had always used the LE suffix for chips (cards) with crippled pipelines. Thus the 6600 remnant should have rather been called the 6600LE. But then they shouldn't have previously called it 6200. When will they stop abusing users?.. When will they stop taking them for ignoramuses, who can be fed with identical products under different names scotfree? You will fully evaluate the gap between the 600 PRO and the X550 in the correlation table. You will understand then that the venture with a new name is not worth a bean. The same applies to the 6600LE. 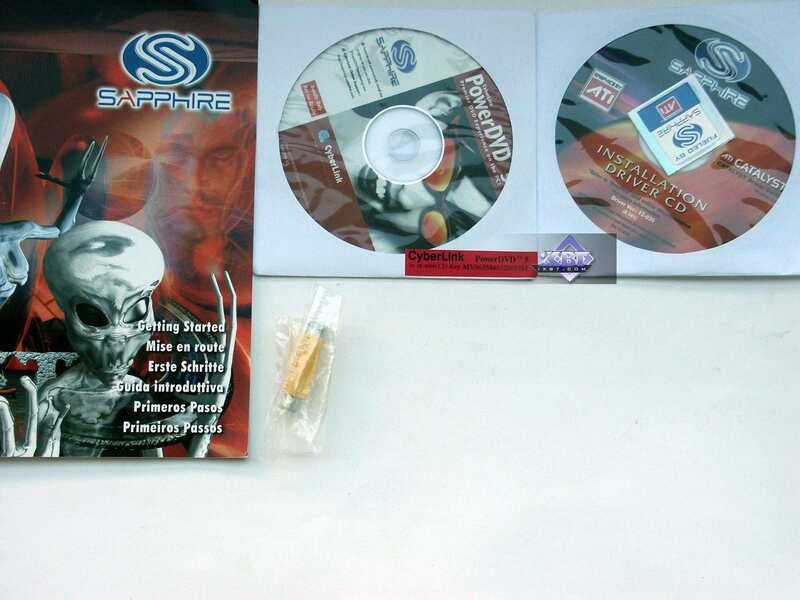 However, these products were launched and they entered the market. And they will be bought due to their low price. Thus we must show what features these cards will give users. 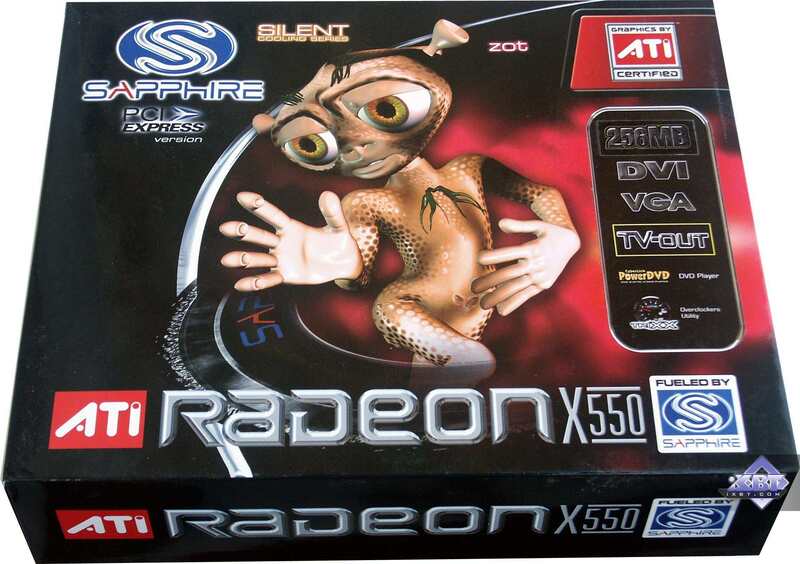 It should be noted that in the light of periodically appearing cards with reduced clocking or a crippled bus, named exactly like their sterling counterparts, the launch of RADEON X550 is a blessing. Compared to hypothetic X600 PRO at such frequencies. 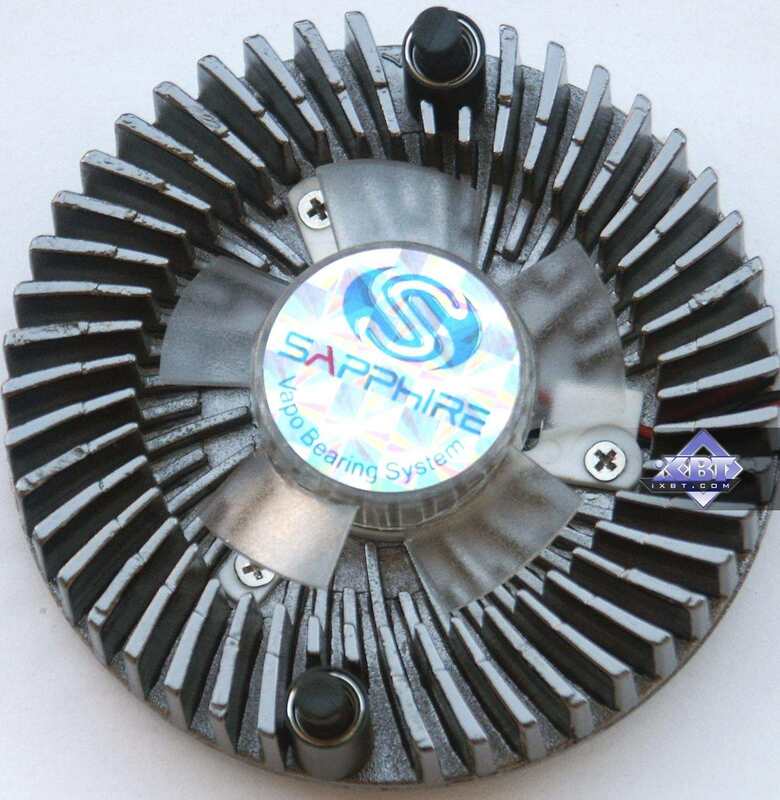 Today we shall review two absolutely identical cards from Sapphire that differ only by cooling systems. 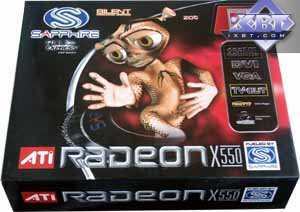 In fact, the RADEON 9600 could easily operate with passive cooling as well as the X300. But it turns out that the X600 PRO (that is the X550), its core running at 400 MHz, can operate well with a large heatsink. Let's have a look at the cards. 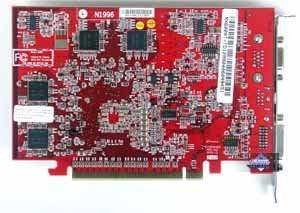 Dimensions: 170x90x15 mm (the last figure is the maximum thickness of a video card). Output connectors: d-Sub, DVI, S-Video. The cards have 256 MB DDR SDRAM allocated in 8 chips on the front and the back sides of the PCB. Hynix memory chips. 4 ns memory access time, which corresponds to 250 (500) MHz. 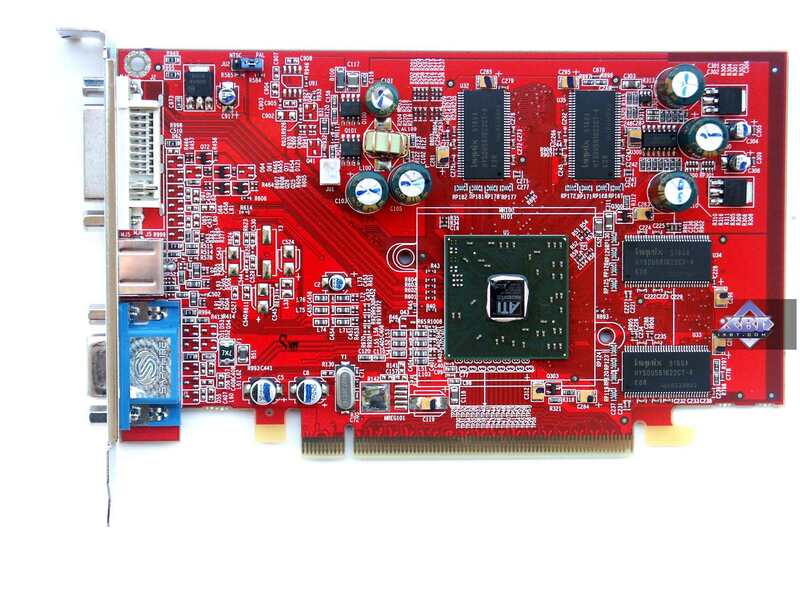 Both cards are obviously based on the same design, similar to the X600 XT. But memory chips are of the different type and the seat for RAGE Theater is moved to the other side. PCB is rather simple. That's why the prime cost of the cards will be low. The standard roundish cooler with a fan in the center. It's made of aluminum alloy, there is nothing special about it. It's quite quiet. 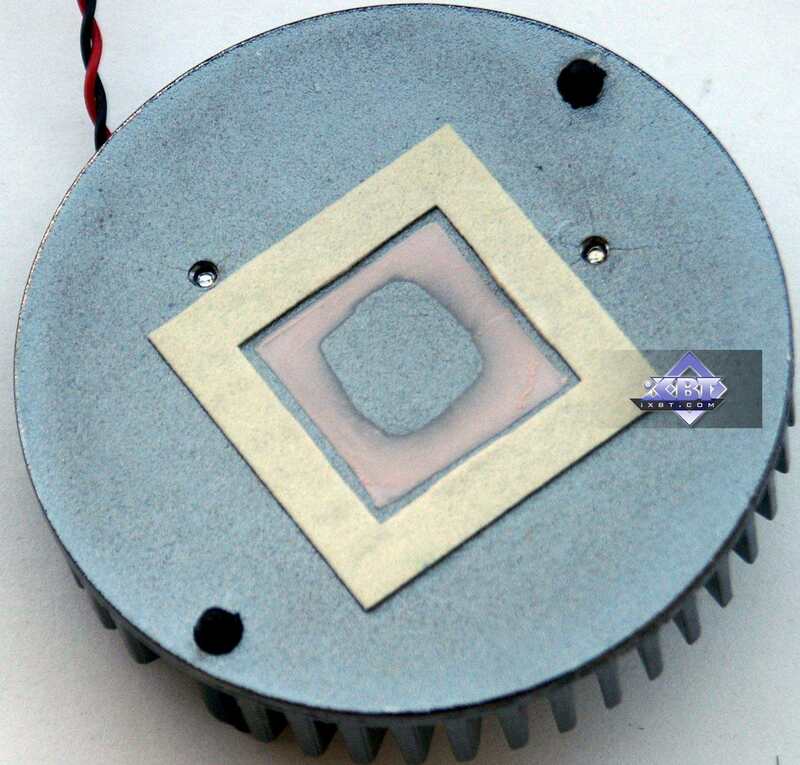 The cooler is mounted on the chip with two clips (pins), thermal interface - adhesive congealing staff. 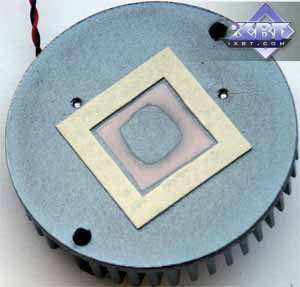 In this case a large passive heatsink is used. It's a successful solution. 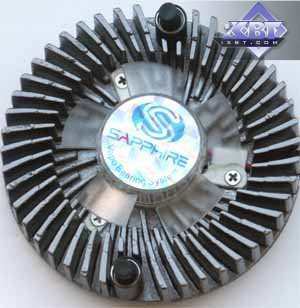 The card's become noiseless, its heatsink does not grow hotter than 70 degrees even under the heaviest load on the core. GPU has a final designation. I repeat that the X600 PRO core is practically no different. 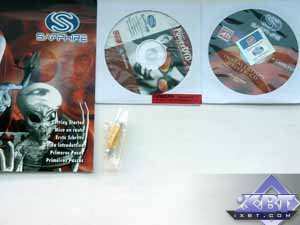 User's manual, SVideo-to-RCA adapter, software bundle - you can see it on the photo on the right. 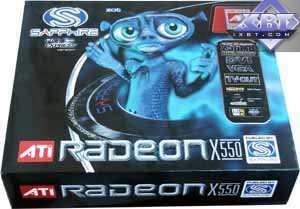 There are no differences between the bundles of Sapphire RADEON X550 256MB PCI-E and Sapphire RADEON X550 Silent 256MB PCI-E. 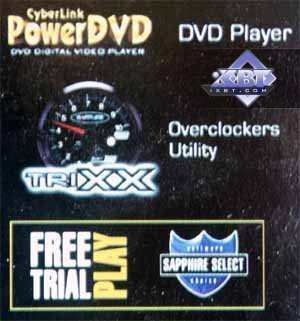 Even though the box boasts of a DVD with some games (you can choose only one or two), we didn't find it in the bundle. A traditional package (so called Full Retail; I guess these cheap cards will hardly be imported to Russia in large boxes; we should expect either OEM or so-called Light Retail): a bright glossy jacket with a box inside. All the components are arranged into plastic sections. It prevents the cards from dangling and possible damages at transit. 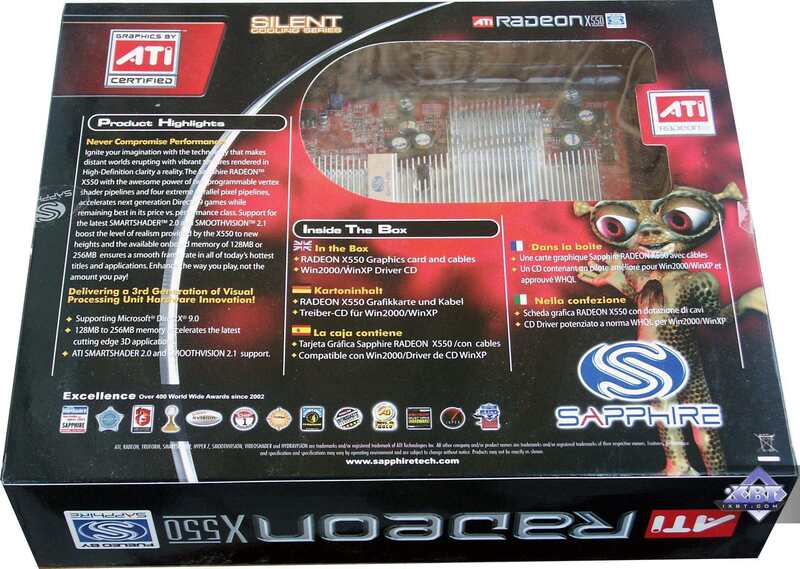 There is a window at the back of the box that shows the card. A similar box that differs from the previous package only in labels and pictures. Monitors: ViewSonic P810 (21") and Mitsubishi Diamond Pro 2070sb (21"). 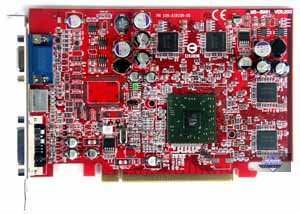 ATI drivers 6.553 (CATALYST 5.7) NVIDIA drivers 77.77. Half-Life2 (Valve/Sierra) — DirectX 9.0, demo (ixbt01, ixbt02, ixbt03 The tests were carried out with maximum quality, option -dxlevel 90, presets for video card types are removed from dxsupport.cfg. FarCry 1.3 (Crytek/UbiSoft), DirectX 9.0, multitexturing, 3 demos from Research, Pier, Regulator levels (-DEVMODE startup option), Very High test settings. F.E.A.R. (Multiplayer beta) (Monolith/Sierra) — DirectX 9.0, multitexturing, Maximum test settings, Soft shadows. Splinter Cell Chaos of Theory v.1.04 (Ubisoft) — DirectX 9.0, multitexturing, maximum test settings, shaders 3.0 (for NVIDIA cards)/shaders 2.0 (for ATI cards); HDR OFF! The Chronicles Of Riddick: Escape From Butcher Bay (Starbreeze/Vivendi) — OpenGL, multitexturing, test settings — maximum texture quality, Shader 2.0, demo 44 and demo ducche. 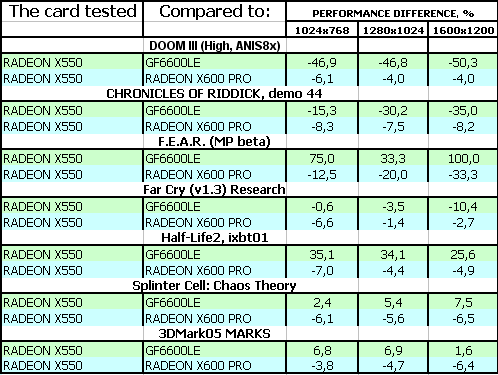 I used the test data (see above) to compile a table with performance correlation between the X550, the GeForce 6600LE, and the discontinued X600 PRO. The difference between the X550 and the X600 PRO is expectedly very low. Have a look at the rows with high percentage - the real figures are below 10 fps, thus they make no difference. Q.E.D. 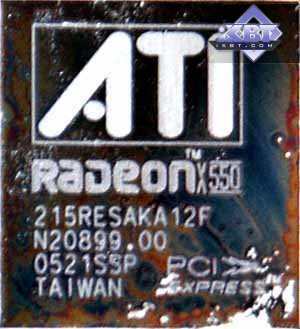 - the new card from ATI is not actually new. 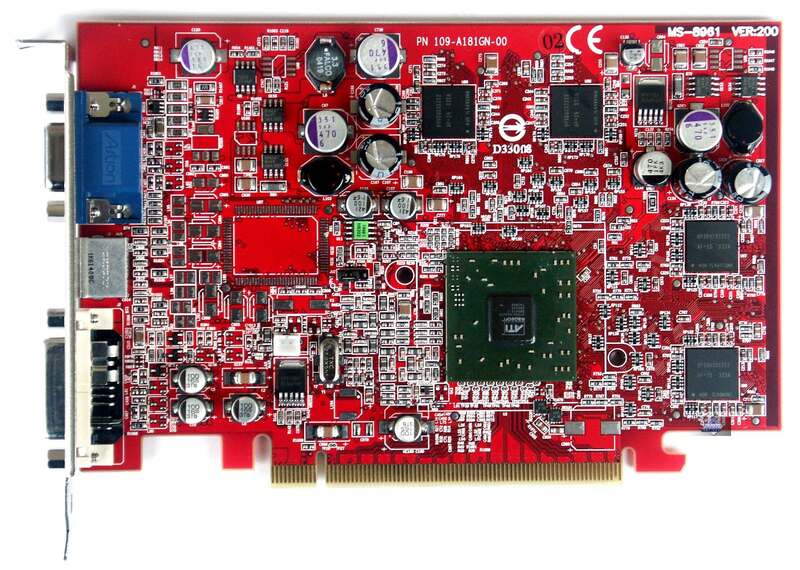 In fact, it's very similar to the old X600 PRO. They could have just reduce its price. Moreover, I have seen the X600 PRO card with memory operating at 250 (500) MHz, hence the conclusion: it's an attempt to offer us the same product for the second time. However, we have no choice: for some reason, the X600 PRO will be discontinued. What concerns the comparison with the 6600LE, the situation is diverse here. The 6600LE is obviously preferable in the traditional NVIDIA demesne (DOOM III and other OGL games). But the situation in HL2 is contrary. That's why we can award victory neither to the 6600LE, nor to the X550. On the average, both cards are equal. Their prices will be a decisive factor. 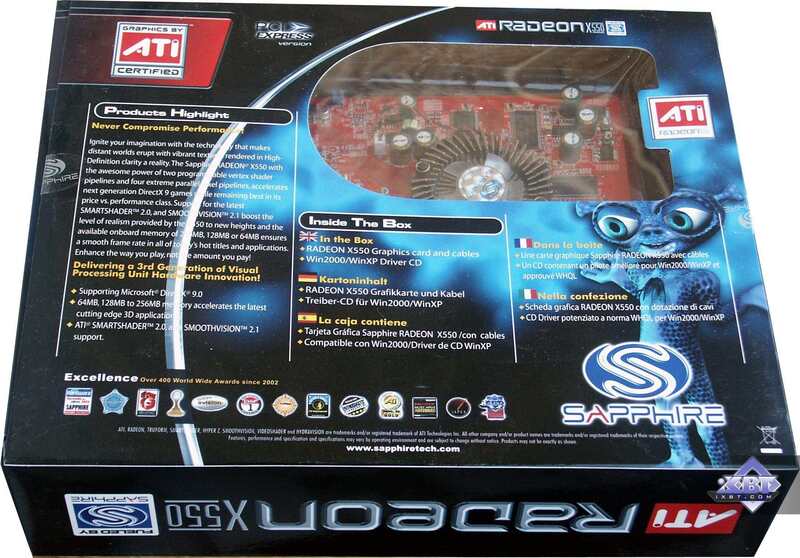 On the whole, Sapphire RADEON X550 256MB PCI-E is a good product for its price. I will say nothing about the policy and necessity to announce a new card (I've told everything above), but the card is good for its price of $70 (retail), though it's high time to drop prices for such low-performance hardware. 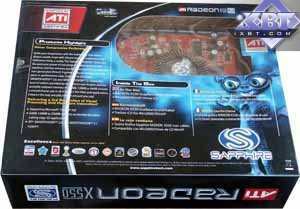 Sapphire RADEON X550 Silent 256MB PCI-E gets the same review. An additional advantage is its noiseless cooler. Both cards demonstrated good quality in 2D at 1600x1200@85Hz. I repeat that our only gripes concern ATI and NVIDIA, their policy to offer the same product two times (even if at a lower price). 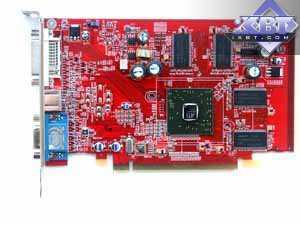 The X550 and 6600LE cards themselves are very good for their price and deserve your attention. I have already drawn conclusions from the performance point of view (the price will be a decisive factor). Now let's have a look at additional options. GeForce 6600LE supports Shaders 3.0 and SLI, which is not the case with the X550. Will the 6600LE benefit from it? - I'm not sure. Shader Model 3.0 is still used reluctantly. 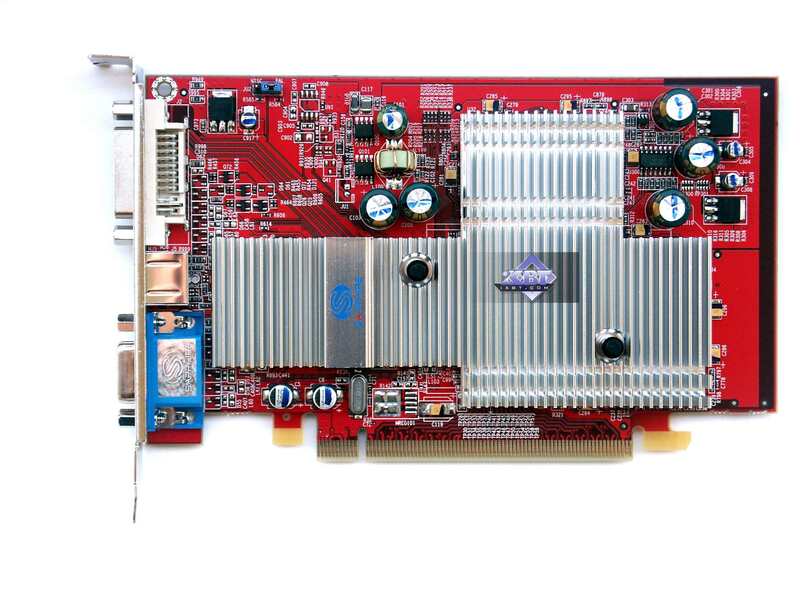 Besides, it will offer a questionable performance level in the 6600LE, taking into account this card's capacity. SLI? - The diagrams above illustrate well how 6600 SLI works. 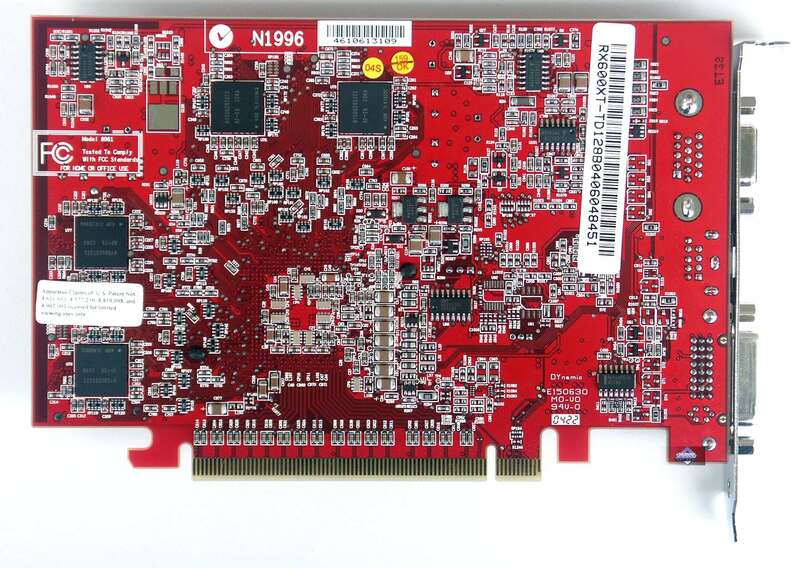 Some users don't have enough money to buy a decent accelerator at once, so they buy only one card and after some time they buy the second accelerator for SLI. I don't exclude this possibility. That's actually all. In any other case you'd better buy a more powerful card at once. 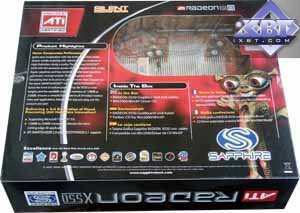 In conclusion I'll remind you once again that the GeForce 6600LE is none other than the 6200 card, while RADEON X550 is nearly the X600 PRO (but its memory is slower by 50 MHz). 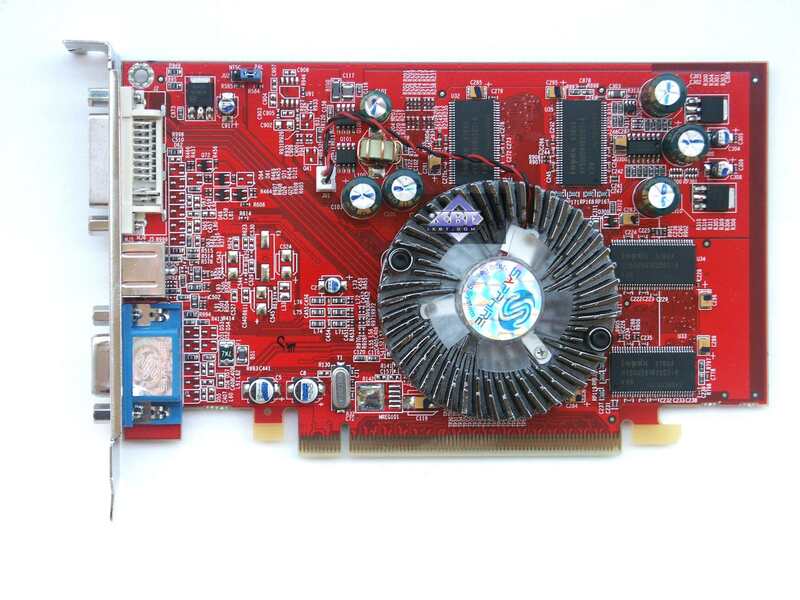 You can find more detailed comparisons of various video cards in our 3Digest.